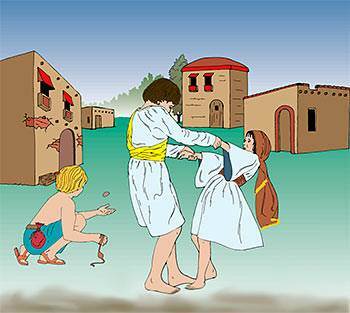 After Mary and Joseph had been to the Temple Church they went back to their own village of Nazareth, where they lived in a little square white house. 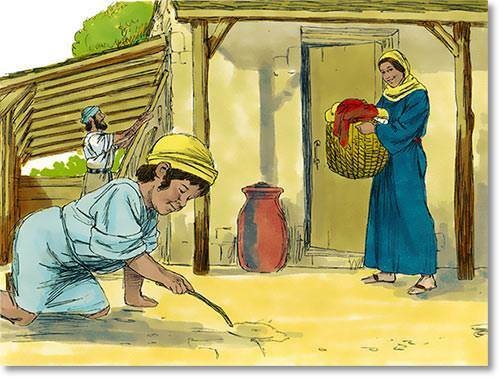 It was a little different from most of the houses in the village, because Joseph had a workshop next to the house, where he worked as a carpenter. 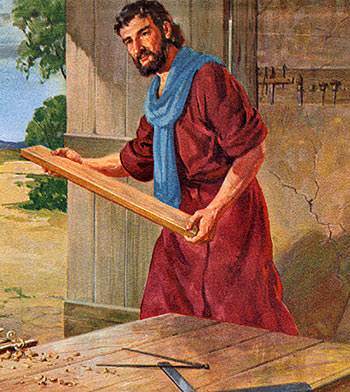 In his workshop Joseph was very busy all day, sawing long planks of wood, planing them smooth, and nailing them together to make all sorts of things for the people of the village and the farms around Nazareth. Sometimes he made a chest in which to keep clothes, sometimes a wooden bin for storing corn, or a plough for the farmer to use in his fields. 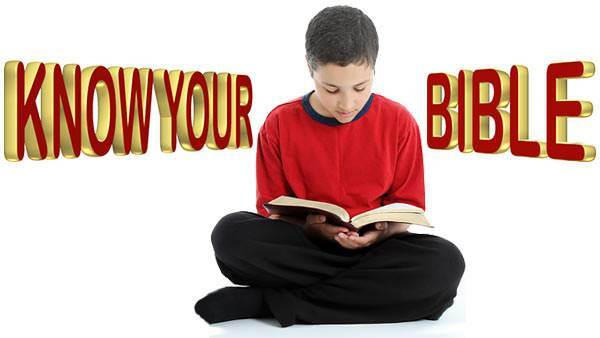 When Jesus was old enough to walk, He loved to go into Joseph’s workshop and play with the curly shavings, or build with the little blocks of wood which fell from Joseph’s saw. 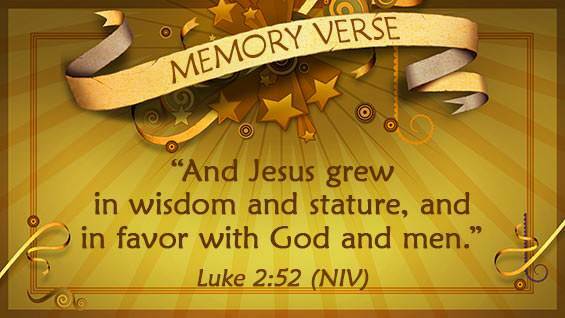 Jesus grew bigger and stronger every day, and soon wanted to help Mother in the little house. When they got up early in the morning, Mary opened the door wide to let in the bright sunshine, while Jesus helped Joseph to roll up their mat beds, and put them away on the shelf. 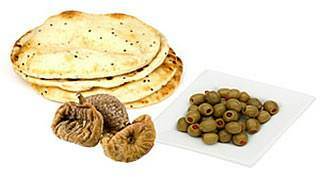 Then he helped Mary get their breakfast of flat bread-cakes and olives and figs, or ran by her side when she went to the well in the village street to fill her big water-jar. 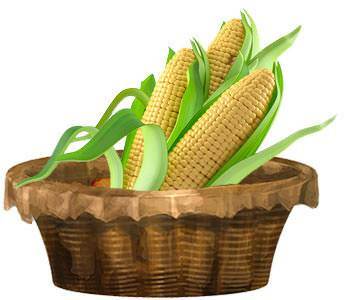 When Mary ground the corn into flour between two large flat stones, Jesus brought her the corn in His little basket. Then he fetched some water from the big jar to mix the flour into dough, and gathered some sticks and dry grass to make a fire for baking the bread. “Oh, yes,” cried all the children, and away they ran, taking Jesus by the hand. And as they ran to their own homes they thought how much nicer their games were when Jesus played with them.